TCF is pleased to announce the establishment of the UNESCO Chair on Management and Promotion of World Heritage Sites: New Media and Community Involvement at Kadir Has University in Istanbul. TCF is a parter in the Kadir Has UNESCO Chair together with Bilkom and World Heritage Travelers Association and will support the work of the Chair in the area of research and international educational exchanges. The protocol establishing the UNESCO Chair was signed at a ceremony on January 7 by UNESCO Director-General Irina Bokova and Prof. Dr. Mustafa Aydın, Rector of Kadir Has University. 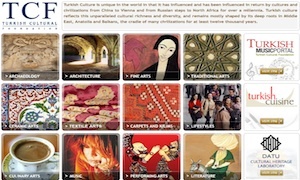 It is the first UNESCO Chair in cultural heritage in Turkey and will work on promoting and enhancing community involvement in World Heritage sites in Turkey through the application of new media. There are currently 13 sites inscribed on the UNESCO World Heritage List and 52 nominations. The Chair's scope will include all sites. Among the projects planned are an international summer school for graduate students and the development of new media applications for Turkey's World Heritage sites. Community and youth education will be another important component of the Chair's work. An inter-disciplinary academic team at Kadir Has University will lead the work of the Chair under the leadership of Dr. Yonca Kösebay Erkan.